First Coast African American Chamber of Commerce, Inc. The First Coast African American Chamber of Commerce is a non-profit activity-based organization led by Chairman and CEO Cliff Grant. We emphasize Advocacy, Outreach, and Activity on behalf of the African American community in Northeast Florida. FCTC opened in 1965 to provide area vocational technical training for both adults and high school students and offers training programs in more than 30 careers. There are currently more than 1,000 persons enrolled in rewarding occupational programs of study including automotive service technology, cosmetology, dental assisting, firefighting, nursing, and commercial arts, medical assisting, welding, and heating, refrigeration/air conditioning to name a few. FCTC's Adult Education provides adult basic educational skill training, high school completion for adults, preparation for the GED exam, and English classes for speakers of other languages (ESOL). 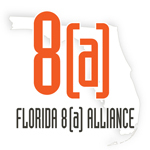 Florida 8(a) Alliance is a 501(c)(3) non-profit. Our mission is to Strengthen, Train, Educate and Promote 8(a) and other small businesses in the state of Florida. We help small businesses grow their business by providing Educational (webinars and workshops) and Networking (workshops and an annual Federal Contracting Conference) opportunities that focus mainly on the Federal Contracting market. Known as “the community’s college,” Florida State College at Jacksonville (FSCJ) exists to provide valuable, high-quality learning opportunities through the pursuit of higher education. We are committed to providing you with personalized, customer-driven solutions that enhance the future workforce, promote personal and job growth, and improve employee retention. All of our courses can be available online, on campus, or at your location. At FSCJ, you will get a quality business education for thousands less than at other local state colleges, universities and technical schools. All of the programs, services and events held at the Center are intended to support the Center's guiding principles to promote: Small Business Development, Homeownership, Financial Literacy, Job Skills Training and Support of the Non-profit sector.